It is a pleasure to review Love Letters from the Edge today. When I went to the ACW Conference in June, I was incredibly blessed to reconnect with Shelly Beach and to meet her dear friend and co-author of this book, Wanda Sanchez. I student taught under Shelly in college and am delighted to be mentored by her again, not in teaching English this time, but in writing a book. Shelly is a rich blessing in my life and I am deeply grateful for her expertise and support as I write. These women are a dynamic team- together they address issues of Post-Traumatic Stress Disorder and offer real hope for those that are hurting. Visit their PTSD Perspectives site for a plethora of resources that can help. This book is a brave, authentic lifeline to the hurting. If you have experienced loss, abuse, or pain- you need to read this book. Authors Wanda Sanchez and Shelly Beach invite you into their thoughts and hearts, asking questions that many wrestle with and few dare to speak. In the pages of this book you will come face-to-face with hope for your broken places. This book is refreshing, unique and an important asset to the literary world. 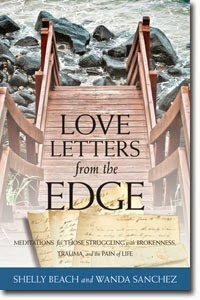 Love Letters from the Edge can help you heal as you get real, listen well and let God’s love wash over afresh. Each devotional begins with a conversation with God, in a letter format- asking difficult questions based on challenging circumstances. The best part is reading God’s letter back to those questions- hearing His love and care come through the pages, straight to the reader’s heart. 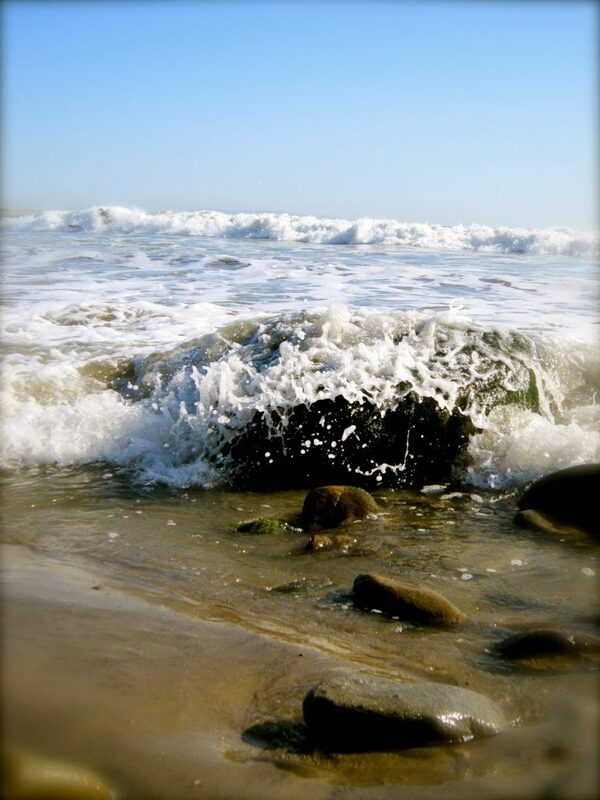 There are also thoughtful prompts provided for reflection, and numerous resources given to help you work through hurt.